Very often people forget that wedding photography involves much more than showing up on the day of the event to document it. 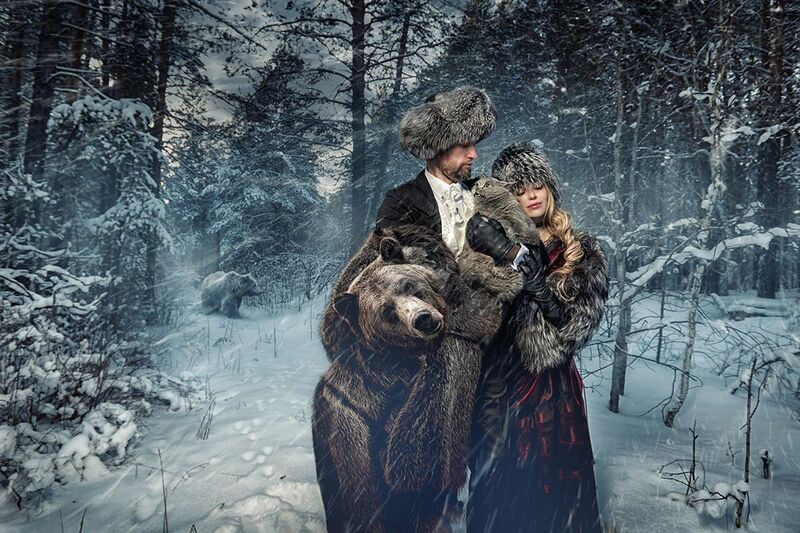 In fact, making photographs is the easy part… It is the one thing that comes naturally to you, the photographer. But it’s unfortunate that for most wedding photographers, being creative with the camera does not necessarily mean that they’re as adept at the business side of things. At the end of the day, wedding photography is a service that requires efficient planning and management. So even if you’re great at what you do, if you cannot market yourself, your talent will not quite have the opportunity to show itself. But that’s not the case with Arjun Kartha, who has successfully located the fine thread separating business and photography, and staying firmly put on that line. 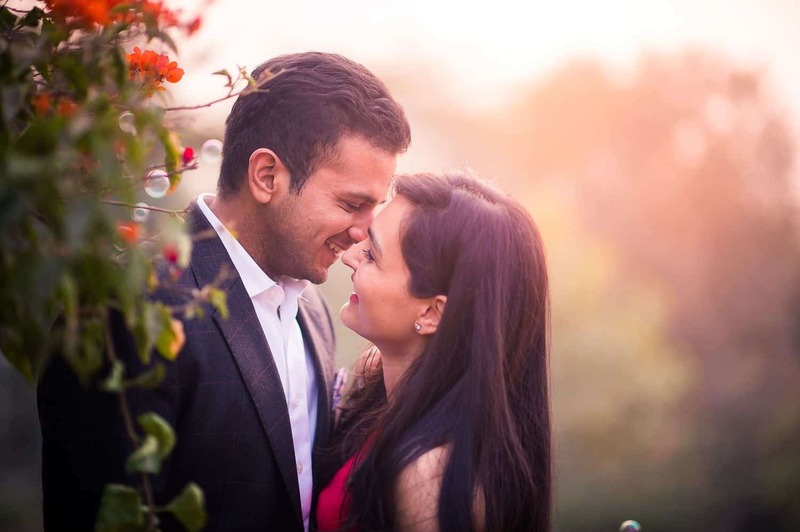 It was of course his sheer interest in photography, a love that began much before he started photographing weddings full time, that got Arjun to pick up a camera on a whim and photograph his friend’s wedding in 2007. It took off from there as he realized how much he was enjoying himself. At the same time, he realized something important. “I saw this huge gap between the way weddings were shot in India-which were highly templatised and representational-and the kind of storytelling and imagery that was happening in the West,” he said. This allowed Arjun to understand and realize that there is certainly a market in India for the kind of photographs that emphasize on storytelling. 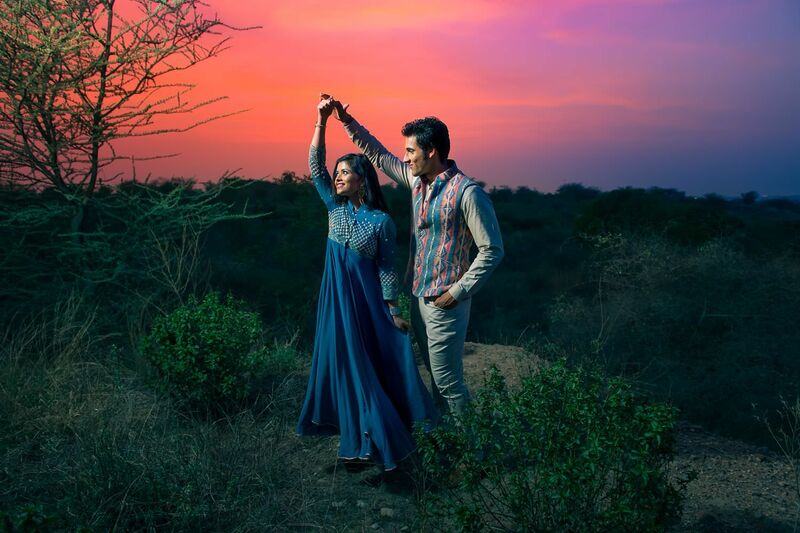 At the time when Arjun began his journey, the wedding photography landscape was still in its infancy. It wasn’t that there weren’t photographers shooting weddings… They just lacked the ability to create a narrative with their pictures. Back then, it was about making standard portraits of the bride and the groom, along with the families and guests who attended. So when Arjun entered the scene, it was natural for clients to be intrigued by his style of picturemaking. “I didn’t really have to market myself much,” he said. However, there were a few things that he realised back then… that if he strengthened certain areas, it would reap benefits years later. One of the first things that Arjun did was learn everything he could about how companies like the now defunct Orkut, Flickr and Facebook worked, and how he could increase his presence on social media. The other important thing was setting up his website and blog. “I knew that over time, the website would be the one pillar that would always remain with me. It would be my personal space, my shopfront to the world. I worked hard to build it and make sure that customers walked in. As for the blog, it was more like a promoter standing outside the store, distributing free lollipops to whoever passed by the store and inviting them to come in. And boy, it worked!” he said. One of the best advice that Arjun received was that being a good photographer is only 25% of what goes into becoming a successful photographer. “At the time, it didn’t make sense to me. But the more I thought about it, I realized that being successful meant so much more than taking great photos,” he said. For him it was imperative that he constantly pushed himself to exceed the expectations of his clients. That they saw him not only as someone documenting their special day, but also as a friend. More importantly though, it was important for Arjun to have a team who had as much love for the job as he did. Only then would they be able to represent him best to clients. 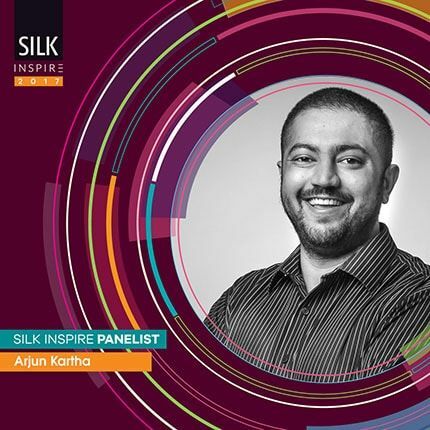 Arjun Kartha will be at SILK INSPIRE 2017 festival to give a seminar and will be available to meet photographers. Get your ticket for India’s first Wedding Photography festival, and come meet him in Goa this October. I’m sorry but I don’t see where did the text speak about the lavish or simple wedding? What part exactly do you not agree with? An artist is an artist: in his/her house only. If you don’t market your artistry, you are bound to be that artist only to you. Why is there this immense push on defining what success means ? success this…success that… but the visual language stays put on the mediocrity line. Not sure what you’re trying to get at here chenthil. There is also an immense push to set standards and benchmarks, and use that as a measure of success. The WPAI Awards for instance are all about the visual artistry and nothing else. It’s so sad to see as a enthusiast & a beginner in wedding photpgraphy industry that most of the wedding photographers and photography firms, in order to meet the commercial requirements in a wedding project, completely ignores the story telling part of it. Mostly they see wedding as a commercial ground, where they will make colourful, stereotype kind of bokeh background photographs. So in one line, very few cares to promote wedding photography as a story telling aspect of one’s most important day. This is where the Silk Photo blog is so interesting to read and collect inspiration to showcase weddings as a story telling prospective on one’s most important day of life. You couldn’t be more wrong Sourav; any wedding photography firm that ignores precisely what they’re supposed to do will be out of business very fast and that’ll be that. What is supposed to be done, should always be fulfilled, am not against it. But the approach towards photography shouldn’t always be the commercial one, what clients expect from you. 1st priority should always be the client’s expectations from you. But after that its u as a photographer, what u see and how skillfully u can document one’s day in a wedding. Thats what i meant sir. Do correct me if am wrong.